I want to capture the headers in messages. How do I go about it? 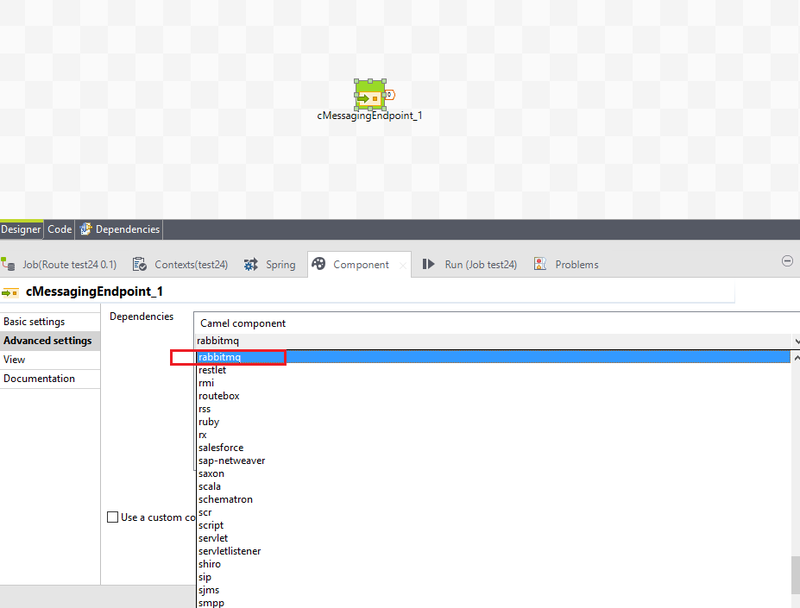 Please take a look at MessageEndpoint components (Mediation Perspective in the Talend Studio) and use the 'RabbitMQ'-component' (select 'rabbitmq' in the advanced tab of the cMessageEndpoint component - (add a new line to the table then you see a combobox which contains 'rabbitmq'. ) In this case you can access RabbitMQ via AMQP within a Talend-Route (the camel-rabbitmq component uses the RabbitMQ AMQP client).